Eight scientists whose discoveries have dramatically expanded human understanding in the fields of astrophysics, nanoscience and neuroscience has been recognised with the award of the million-dollar Kavli Prizes. The Supervisory Council of the Russian Corporation of Nanotechnologies (RUSNANO) has approved the corporation's participation in a project to create a center for preclinical studies. The project's budget will total 1.6 billion rubles, from which RUSNANO will invest 228 million rubles in equity and extend a loan of 580 million rubles (19.3 million dollars). For most people, frustration is a condition to be avoided. But for scientists studying certain 'frustrated' ensembles of interacting components - that is, those which cannot settle into a state that minimizes each interaction - it may be the key to understanding a host of puzzling phenomena that affect systems from neural networks and social structures to protein folding and magnetism. Die fuehrende Konferenz zum Thema Nanotechnologie in Europa findet bereits seit 2002 in Dresden statt und wird in ihrer achten Auflage am 6. und 7. Juli 2010 zur Nanotechnologie-Leitveranstaltung des DRESDEN-concept ausgebaut. Researchers are investigating new applications for terahertz sensors. Based on their findings, these sensors could be used for improving optical sources, detectors and modulators for optical interconnections and for creating biomolecules, such as plastic explosives. Scientists have captured the first images of electrons that appear to take on extraordinary mass under certain extreme conditions, thus solving a 25-year mystery about how electrons behave in metals. Discovery has potential applications in tissue regeneration and high-performance textiles. Ultrasensitive test gives first accurate answer after prostate cancer surgery. The International Food Information Council (IFIC) 2010 'Consumer Perceptions of Food Technology' survey found that consumers support the use of food biotechnology when they consider its potential benefits for reducing the impact of food and food production on the environment, and for improving sustainability. 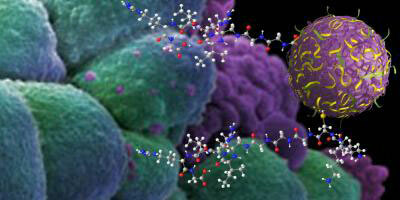 When loaded with an anticancer drug, a delivery system based on a novel material called nanosponge is three to five times more effective at reducing tumor growth than direct injection. The College of Nanoscale Science and Engineering of the University at Albany announced today that 22 exceptional undergraduate students have been selected to participate in its prestigious Summer Internship Program. 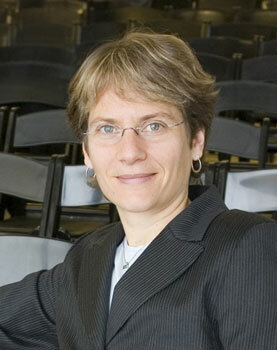 Internationally renowned chemical biologist Dr. Carolyn Bertozzi, whose research is applied worldwide in the biopharmaceutical industry, has achieved extraordinary success for her pioneering inventions in the field of biotechnology. Combination of Atomic Force Microscopy (AFM), Raman / Fluorescence / Rayleigh microscopy and Scanning Near-Field Optical Microscopy (SNOM) provides unique opportunities for Graphene investigation. 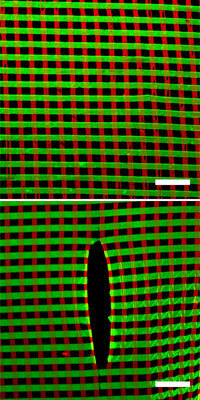 Different AFM techniques allow one to study mechanical, electrical, magnetic and even elastic properties of Graphene flakes. 'The Singularity is Near: A True Story About the Future' documentary film by inventor, futurist Ray Kurzweil makes world premiere in competition on June 12th. ion-mask, P2i's world-leading liquid repellent nano-coating for footwear and lifestyle products, has taken the web by storm after featuring in 'Liquid Mountaineering' - a video viral that has generated more than four million hits on YouTube.